Rubeola presents as maculopapular (morbilliform) eruption. It starts on the face and spreads centrifugally. It is associated with cough, coryza, conjunctivitis, fever, and Koplik spots (red-white-blue macules in mouth). As with varicella, rubeola is now uncommon because of vaccinations. The exanthem of rubeola (measles) begins around the fourth febrile day, with discrete lesions that become confluent as they spread from the hairline downward, sparing the palms and soles. The exanthem typically lasts 4 to 6 days. 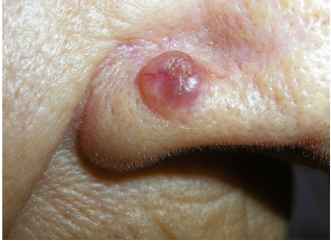 The lesions fade gradually in order of appearance, leaving a residual yellow-tan coloration or faint desquamation. Rubeola is also distinguished by the presence of Koplik spots in the oral mucosa. These are usually small white or bluish macules with a ring of erythema on the buccal mucosa. Rubella is similar to rubeola and is caused by a togavirus. 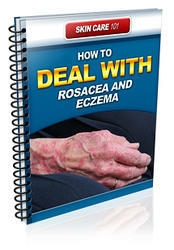 It causes less severe symptoms, and its exanthem characteristically has a duration of 2 to 3 days. Rubella is associated with tender cervical lymphadenopathy, most notably in the posterior cervical and occipital areas. Another unique feature is Forchheimer spots, which are pinpoint red macules and petechiae over the soft palate and the uvula.